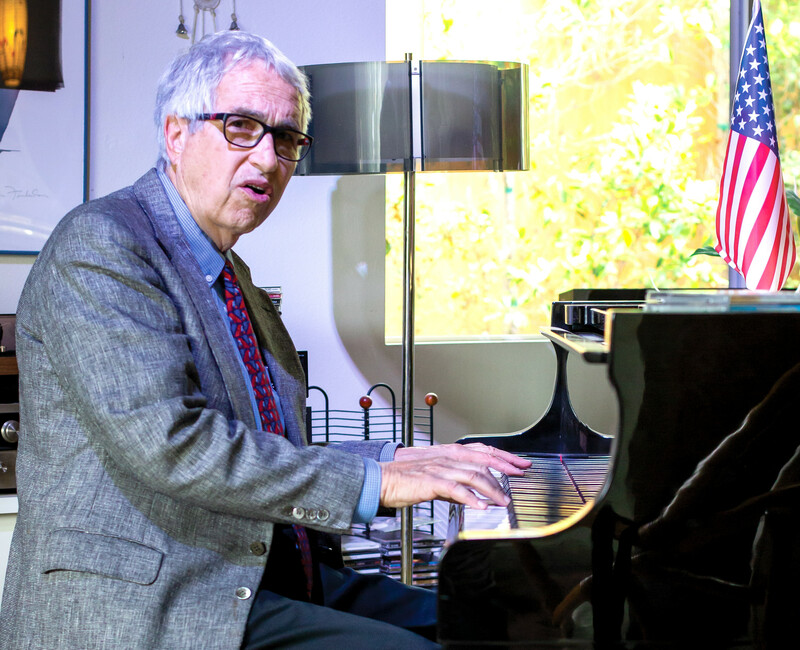 SOLANA BEACH — This July Fourth was set to be a banner day in Ed Siegel’s longtime crusade to have the national anthem sung in a lower octave. The director of the Fort Collins Symphony Orchestra created a symphonic rendition of “The Star-Spangled Banner” in G major. It was scheduled to be performed with the longtime Solana Beach resident leading an estimated crowd of 20,000 people. “This is the realization of a dream I’ve had since 2006,” he said before heading off to the Colorado city. Unfortunately, with a threat of rain and lightning, the entire night’s performance was called off and the stage was cleared of instruments. But the weather did little to dampen Siegel’s spirit. “It was exciting,” he said. “We had a huge crowd and so I asked everyone if they wanted to sing the national anthem. The 78-year-old psychiatrist, wearing a patriotic pocket square and tie, then went down to a nearby lake where people were gathering to watch the fireworks. He asked the same question and got the same answer. Siegel has long thought the national anthem, usually performed in B flat minor, was written in a key too high for most people to sing. His efforts to make the change earned him national attention with a 2004 story in “The New York Times Magazine” and later with a performance on “Today” in Rockefeller Plaza with Katie Couric. Born and raised in Fort Collins, and a supporter of its symphony, Siegel asked music director Wes Kenney if he could work with the orchestra to perform the anthem in G major for the Independence Day show. While his dream of hearing the lower-key, symphonic rendition played to a crowd was not realized, it wasn’t completely unfulfilled. Siegel was on hand the night before during rehearsal. The symphony also played it a few nights later to a smaller crowd, although Siegel was back in California by that time. Siegel has lived in Solana Beach for more than 40 years. On Aug. 6, 1987, about 30 people including the city’s first mayor, gathered at Fletcher Cove Community Center for his first singalong, which he started to promote community spirit. It is the city’s oldest ongoing community event. Siegel, who taught himself to play the piano by ear, also wrote the music for “Solana Beach Proud,” the city song. Lynn Salsberg, RN wrote the words.